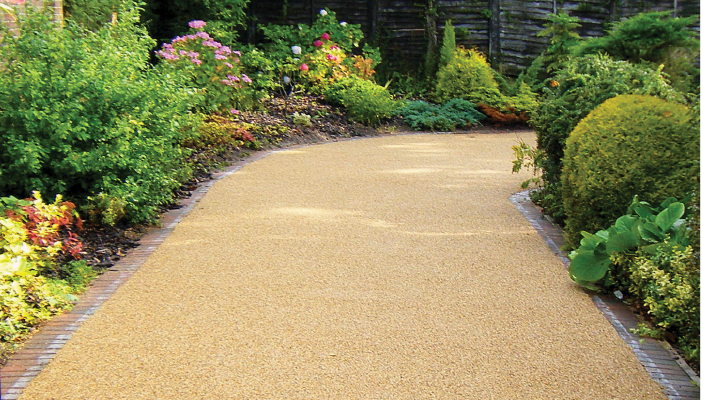 Resin Bound Aggregate – Resin Bound Surfacing is a resin bound aggregate surface for pedestrian and vehicle trafficked surfaces such as paths, walkways, pavements, patio areas, driveways, car park bays, small car parks. The open matrix structure allows water to drain through into the substrate, feed any surrounding trees and plants and avoid any change of or damage to the natural water table. This open matrix construction is in line with the requirements of Sustainable Drainage Systems (SuDS), designed to reduce the potential of flooding on new and existing urban developments. 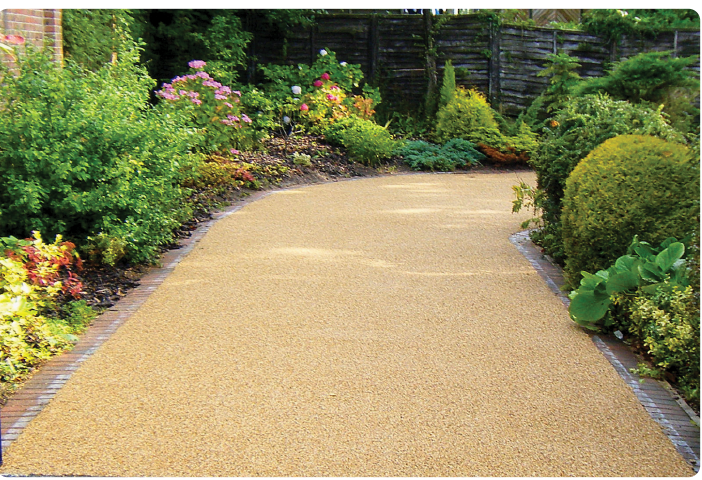 Resin Bound Surfacing must be laid onto a sound stable and solid base such as concrete or tarmac. 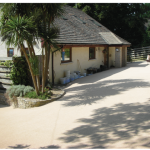 Resin Bonded Aggregate – Resin Bonded Surfacing is a fast curing resin bonded aggregate surfacing system for providing hardwearing slip resistant decorative flooring for foot, vehicle and heavier traffic. 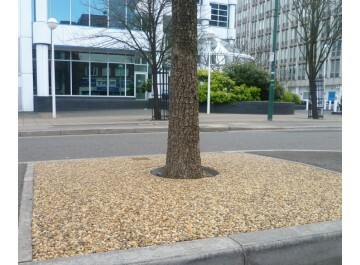 It creates the look of natural aggregate without the mess of loose gravel. 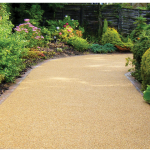 Resin Bonded Surfacing can be applied to most substrates and dependent on the type of aggregates cast onto the surface provides superb hardwearing grip and traction for both foot and vehicular traffic, maximising slip resistance and enhancing the appearance. 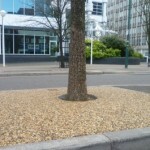 Resin Tree Pit – Tree Pit System is a UV Stable, clean, natural aggregate surround for planted trees in public and private areas. An alternative to traditionally costly metal grilles, the Resin Tree Pit System surrounds the tree in a solid yet flexible construction which prevents a build up of litter and removes a storage or hiding place for hazardous and unsavoury items. The Resin Tree Pit System natural stone aggregate is porous, allowing water to permeate and the tree to feed and grow, and suitable for foot and occasional light vehicle traffic. 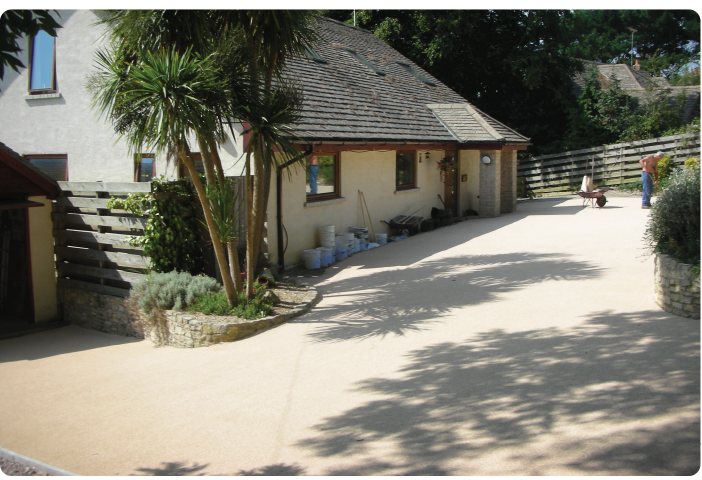 Birch Floor Screeding can carry out any preparation works that may be required prior to installing the resin system including groundworks, tarmac, concrete and any select edging stones or pavers.